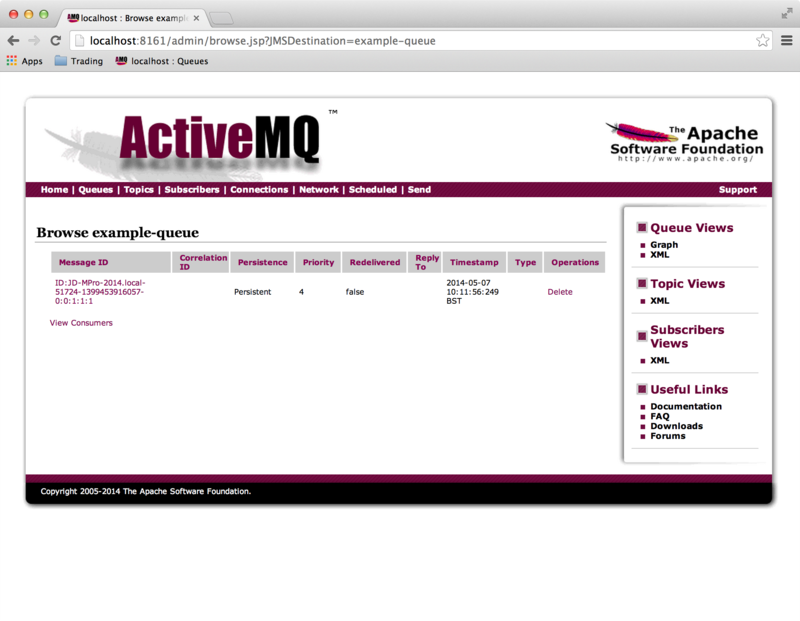 In this post we are going to send a simple text message to ActiveMQ using JMS. 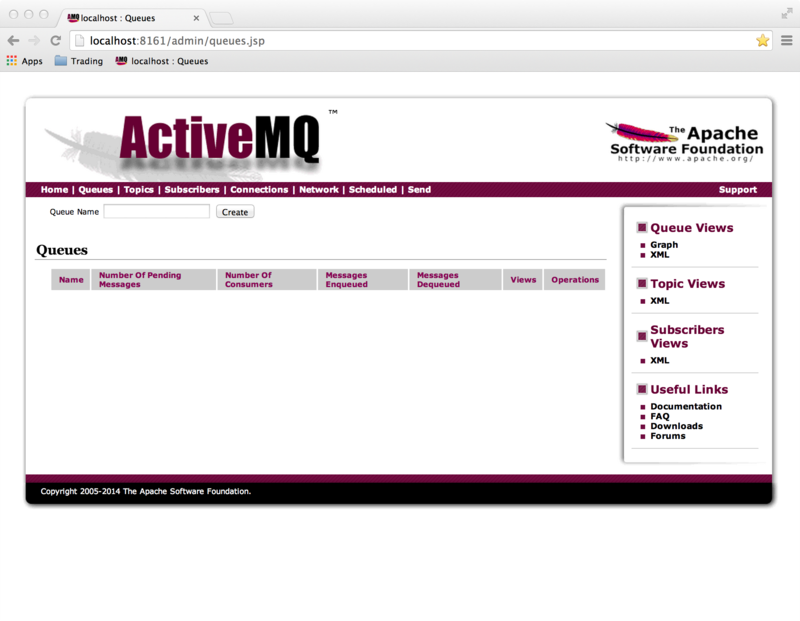 First install ActiveMQ as per my previous post. Open the web browser and view the queues. There should be no visible queues. 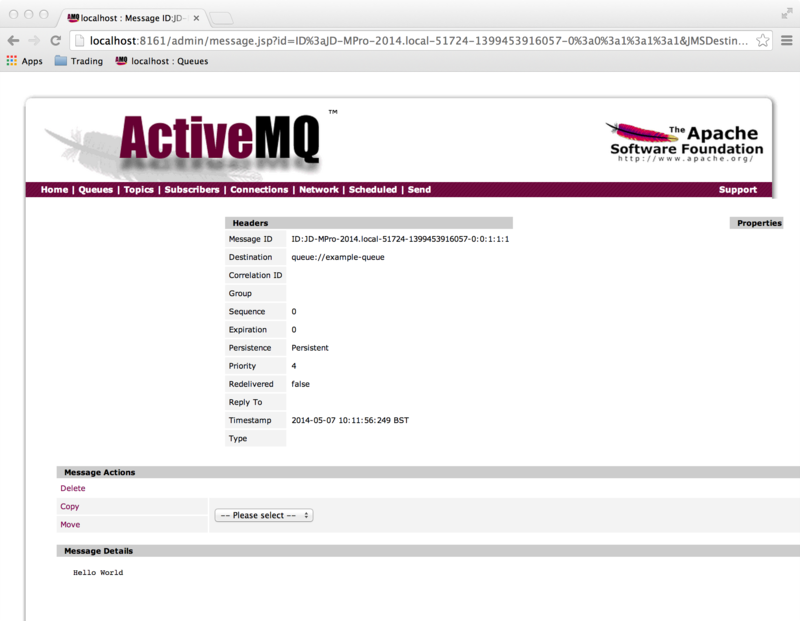 The ActiveMQConnection.DEFAULT_BROKER_URL is tcp://localhost:61616 and references the same ActiveMQConnection session we are looking at in the web browser. acknowledgeMode – indicates whether the consumer or the client will acknowledge any messages it receives; ignored if the session is transacted. Legal values areSession.AUTO_ACKNOWLEDGE, Session.CLIENT_ACKNOWLEDGE, and Session.DUPS_OK_ACKNOWLEDGE. To send messages onto the queue, we need to create a MessageProducer, and to retrieve messages from the queue we need to create a MessageConsumer. In this example, we have only created a producer as we want to use the web interface to view the messages. Before we can send or receive messages, we must first start the connection. We use the session to create the message object and then set the values of the message before sending it. Finally we close our connection.